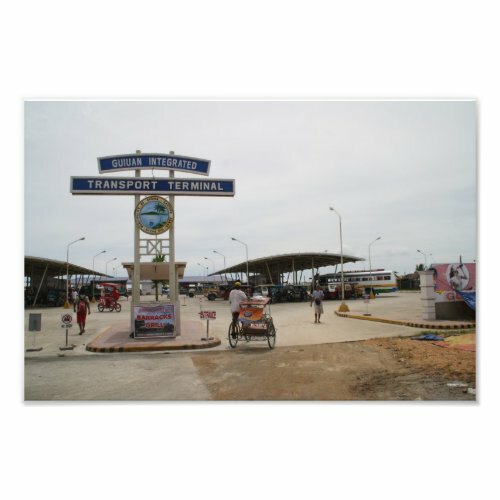 The bus terminal of Guiuan, Eastern Samar, the Philippines. Officially it's called the Guiuan Integrated Transport Terminal. If you look carefully you can see buses, jeepneys and tricycles on the terminal.